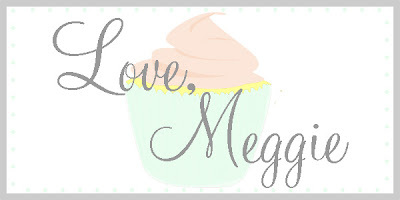 Over the past six months I have shared with you a variety of different recipes for sweets that will delight guests; such as: Dessert Dips, Breakfast On A Stick, Pumpkin Spice Treats, and Gingerbread Inspired Goodies. 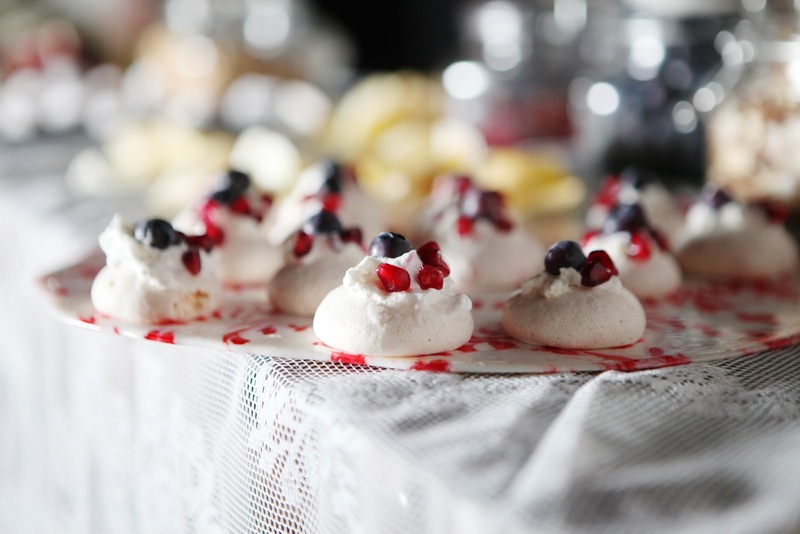 So now that you have perfected a variety of different scrumptious recipes for this holiday season, what are you going to serve and display them on? 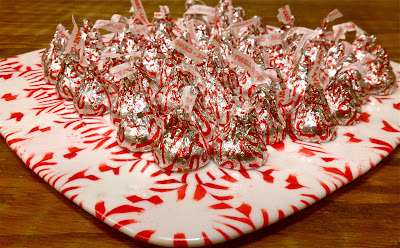 Don't show up at your next gathering with fabulously frosted treats displayed on a plain paper plate or in that same old Tupperware set! Instead, create some new festive serving dishes that will show off in style all of those holiday confections you have been so busy whipping up in the kitchen. So take a peek at these crafty containers and make the season merry and bright at your next winter gathering. 1. Heat oven to 350 degrees. 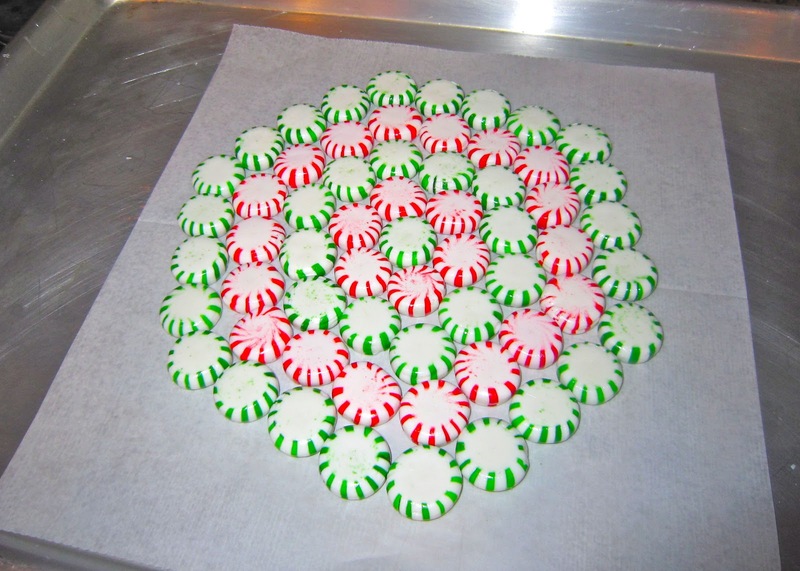 Place parchment paper on cookie sheet. 2. 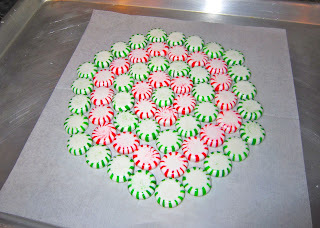 Arrange the mints in any design you want on top of the parchment paper on a cookie sheet. Allow extra room on the sides. Bake approximately 8 - 10 minutes. 3. Take out and allow to cool for 5 minutes on a cookie sheet. 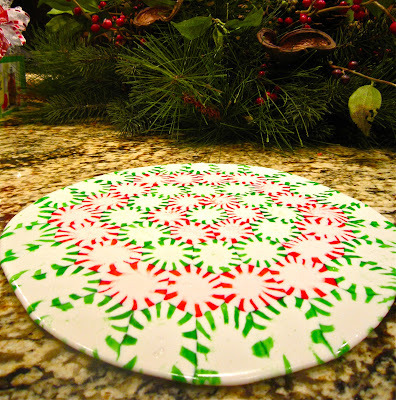 Remove parchment paper from the bottom of the tray. Be careful as tray is fragile and could break easily. 1. 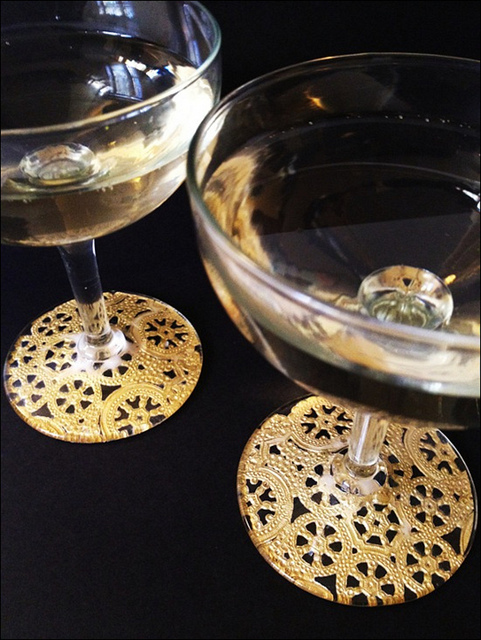 Clean bottom of the plates or stemware with glass cleaner. 3. 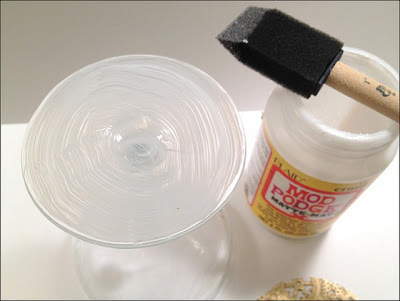 Cover the bottom of the peice of glassware with Mod Podge. 4. Center the circle cutout onto the bottom of your plate or stemware, pattern side down. Gently press the paper onto the glassware. If you are using paper with slits, then allow the material to slightly overlap at each slit. 5. 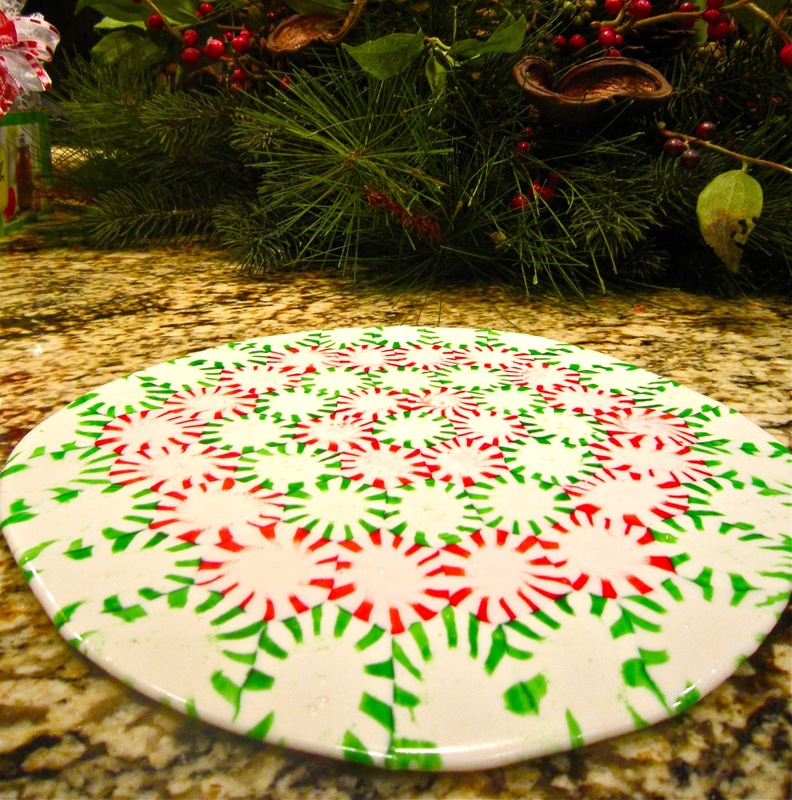 Liberally apply Mod Podge over the circle. 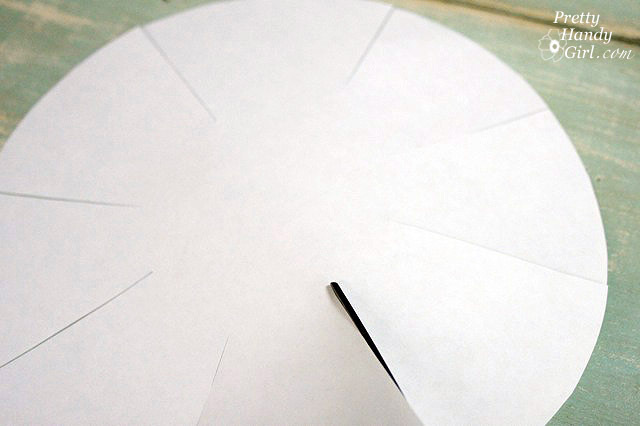 Use your fingers to smooth out any wrinkles, but be careful when using scrapbook paper because it could tear. 6. Lay the glassware upside down until dry. If using plates, then lay them upside down on the jars or cans to dry. Once dry, add more Mod Podge to seal in the material and glue it down. 7. Once completely dry turn the glassware over and enjoy. 1. Clean the plate. 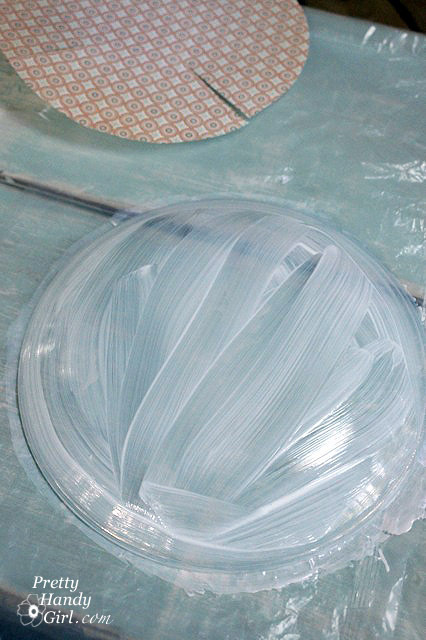 Peel the backing off the silkscreen stencil, and place it on the back of the plate. 3. Squeegee the paint line across the stencil. Make sure that the stencil is covered by the paint. Peel stencil off slowly. 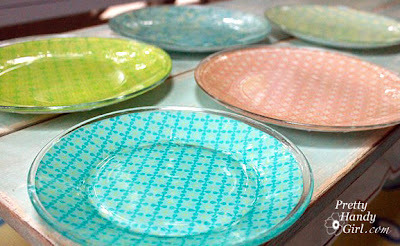 Rinse stencil off with water and then repeat painting process again, until you have decorated the plate to your liking. Let dry completely before use. 1. 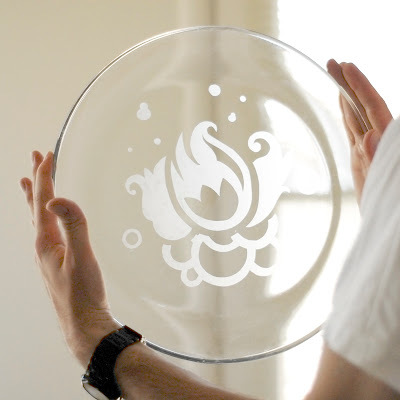 Using a stencil trace an image, shape, or letters onto the vinyl with a pencil. Cut it out carefully with an Exacto knife. Cut away the shapes and letters, but leave the main piece together without cuts or tears. Peel away the shapes leaving the main space all in one piece. 2. Peel off the vinyl backing. The place the vinyl against the glassware making sure to center the image where you'd like. Press it down firmly getting rid of any air bubbles. 3. 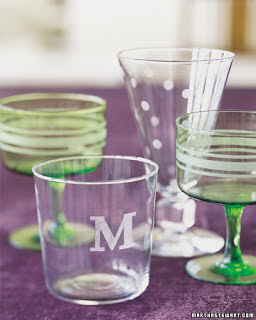 Apply a layer of etching cream on the exposed glass. Follow the instructions on the bottle. Be extremely careful when using this cream; it is very strong. I recommend using gloves when working with the cream and using it outside. 4. Allow the cream to sit and rough up the glass surface. This takes approximately a 1/2 hour to 45 minutes. 5. Rinse cream off well with water using your gloved fingers to make sure that all the cream is washed off. Then peel back the vinyl and wash with soap and water. Dry your glass to see the full etching design. Such an easy and inexpensive way to impress your guests while showing off all of those delicious desserts that you have been mixing up all season. I can't think of a more festive way to serve that traditional Christmas Eve buffet dinner, set out those cookies that your children decorated for Santa, and toast some elegant New Year's Eve cocktails. 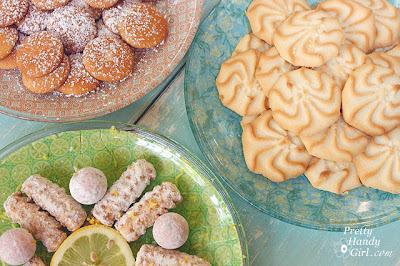 So put your baked goods on the wire rack to cool and design some holiday dishware that will not only be a feast to guests' eyes, but will also hold treats that will delight their taste buds. Have a wonderful week!